Experience Nature at its Most Beautiful! Butterfly World offers South Florida visitors and residents a unique way to spend a day amidst the beauty of nature. The park always houses at least 10,000 butterflies and there are often many more hanging around – it’s difficult to count butterflies! It’s not just butterflies, either. Butterfly World is home to the largest free-flight hummingbird aviary in the United States. Butterfly World is home to over 150 species of butterflies, although some are seasonal and not visible from all parts of the year. No matter what time you visit, you should be able to see about 50 species of butterfly in the attraction’s outdoor aviaries. The experience is one-of-a-kind. Rather than viewing exhibits, as you would in a zoo, you are able to directly experience the butterfly habitat. The aviaries have very high fences and you are able to walk through them. Don’t be surprised if butterflies start landing on you! Sit and relax and let nature mesmerize you and your family at Butterfly World. The workshop is free with paid admission to Butterfly World. 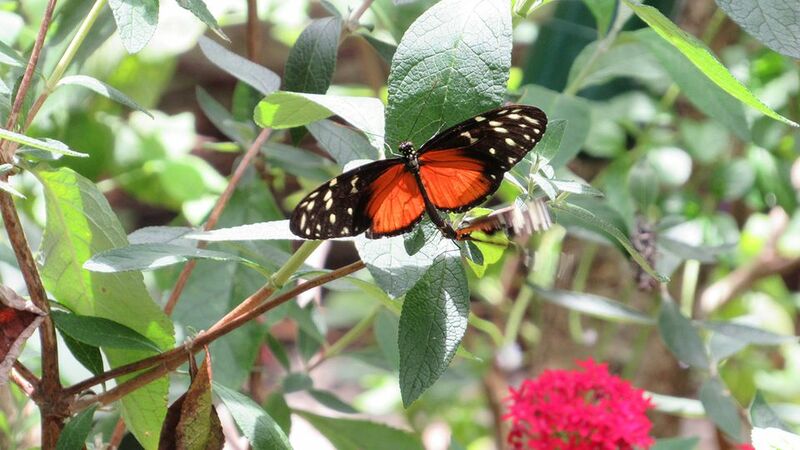 Butterfly World is located in Tradewinds Park on 3600 West Sample Road in Coconut Creek. To get there, take Florida’s Turnpike to exit 69 or Interstate 95 to exit 39. Travel west on Sample Road and you will find Tradewinds Park approximately one-quarter mile west of the turnpike. Travel straight into the park and you will encounter Butterfly World approximately one-third of a mile into the park. If you’re traveling on the Sawgrass Expressway, take exit 19 (Lyons Road) and drive south until you reach Sample Road. Turn east onto Sample and drive until you see Tradewinds Park. Travel straight into the park and you will encounter Butterfly World approximately one-third of a mile into the park.